If you're looking for a good day trip to the Amalfi Coast, I have some tips for how to visit Sorrento from Naples. If I was to do my time in Naples again, I would change one thing. I would spend longer on the Amalfi Coast. This stunning peninsula is so close to Naples that I made the mistake of thinking I would do it as a day trip. But the joy of the Amalfi does not come from simply being able to say you went there, ticking it off a list of Italian tourist sites. The charm is in exploring the small towns that are harder to reach, walking amongst the nature, and sipping cocktails on the water. It’s about knowing that you are close to major sites like Mount Vesuvius, Pompeii, and Paestum… but far enough away to not get caught in the crowds. 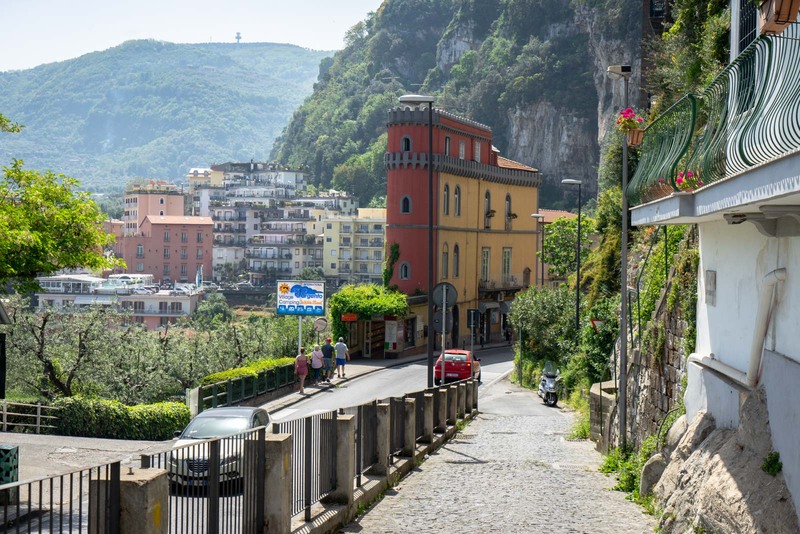 Having said all of that, I realise that not everyone has time to stay for several nights – and it is certainly possible to do a day trip to the Amalfi Coast from Naples. For a trip from Naples to the Amalfi Coast, you have limited options if you don’t want to spend half your day on some kind of transport. 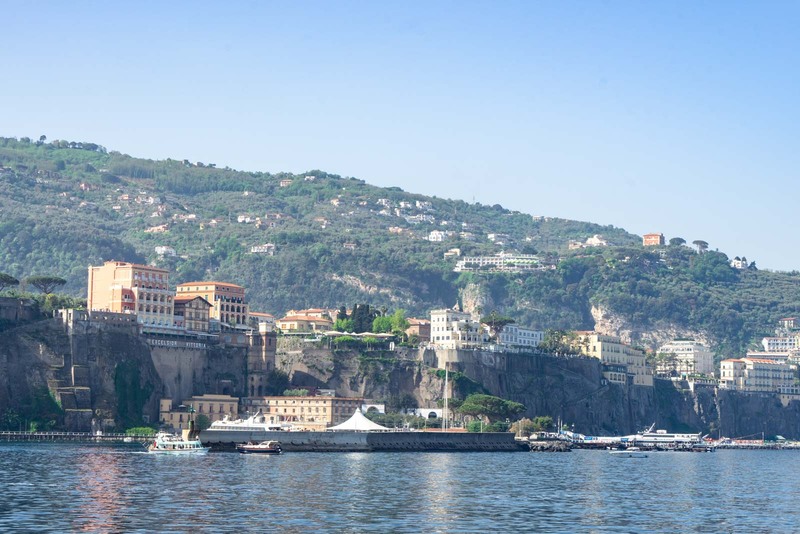 My strong recommendation would would be to just go to Sorrento and use that as the base to get a sense of some of the best things to do on the Amalfi Coast. 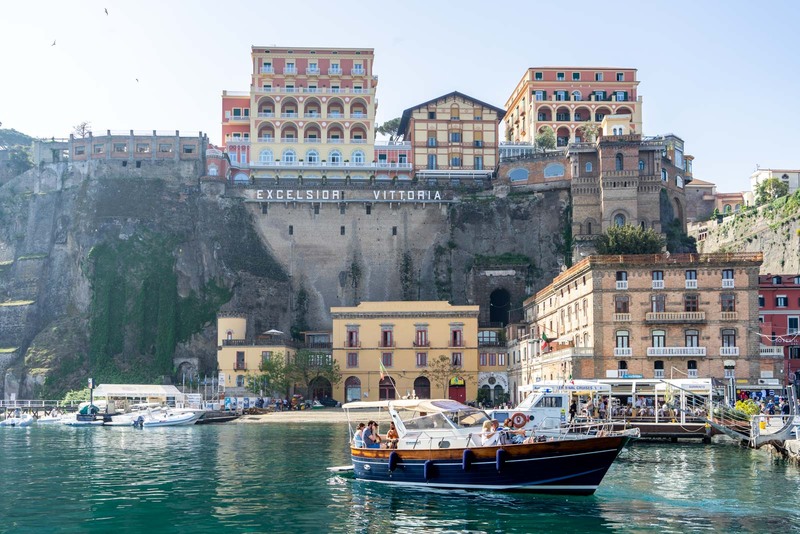 Sorrento is a wonderful town that offers a great mix of history, nature, and relaxation. It is easy to get to and you won’t have to worry much about transport. The only downside is that, for all these reasons, it is the most popular for tourists (particularly other day-trippers) so it can be quite crowded. Having said that, it’s not too hard to get away from the crowds in Sorrento if you know what you’re doing. 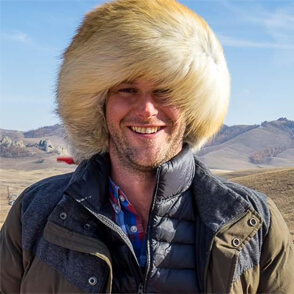 I’ll give you some tips in a second. I’ll also have some information for you soon about how you can see some of the other towns of the Amalfi Coast in a day trip, if that’s what you really want to do. 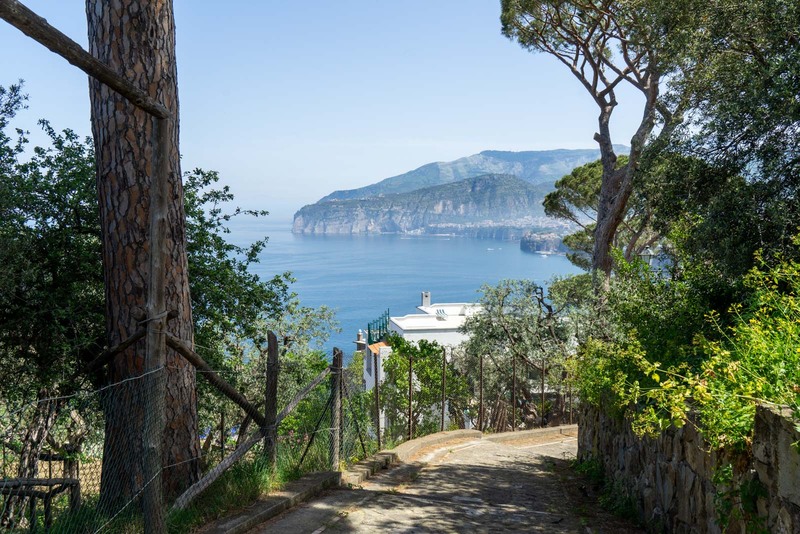 How do you get from Naples to Sorrento? There are several ways to get from Naples to Sorrento – by ferry, by train, or with a car transfer. My preference is for the ferry. It’s a bit more expensive than the train but it is faster, more comfortable, and much more scenic. What better way to start your trip to the Amalfi Coast than with a wonderful view of the shoreline as you approach. I would recommend buying your tickets in advance during busy months. You can check the schedules and availability here. If you would like to go by train, you can take the Circumvesuviana line straight from the central station of Naples to Sorrento. It is quite cheap but takes about 70 minutes (compared to 45 minutes on the ferry). But the biggest issue is that, in my opinion, the trains are dirty, hot, crowded, uncomfortable and known for pickpockets. There is also a train called the Campania Express that is much faster and much nicer. If you do want to go by land, this is a better choice. The only problem is that the services are not very frequent so you need to do a bit of planning advance. Here’s the timetable to help. The other option is to get a private transfer by car from Naples. If there’s a group of you, this becomes a bit more economical, but it’s still quite expensive. I think it makes more sense to get a transfer to the other towns on the Amalfi Coast that are harder to get to, but use public transport for Sorrento. Still, you can use this transfer service if you are interested. The first thing I would recommend doing is exploring the historic centre. If you’ve arrived in Sorrento from Naples by ferry, you’ll get there by walking up the hill for ten minutes. If you’ve come by train, just go west along the main road for five minutes. The town is small and you won’t get lost. 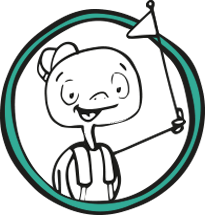 I actually don’t think you’ll even need a map or much guidance to see all of the main sights – they are quite obvious and you’ll discover most of them quickly just by wandering around. 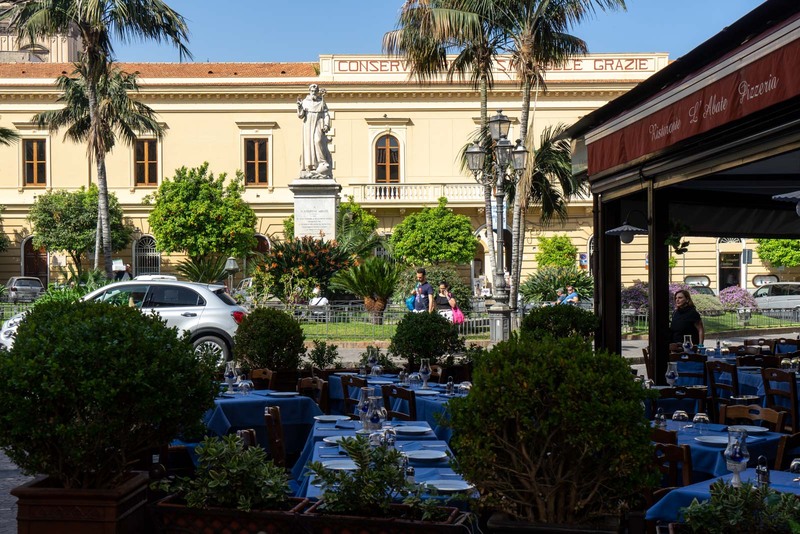 In the centre of Sorrento is Piazza Tasso and it’s useful to use this large main square as a reference point and a starting point for your exploration. I would suggest heading down the main Corso Italia, from where you’ll be able to see the Palazzo Veniero and the Palazzo Correale. 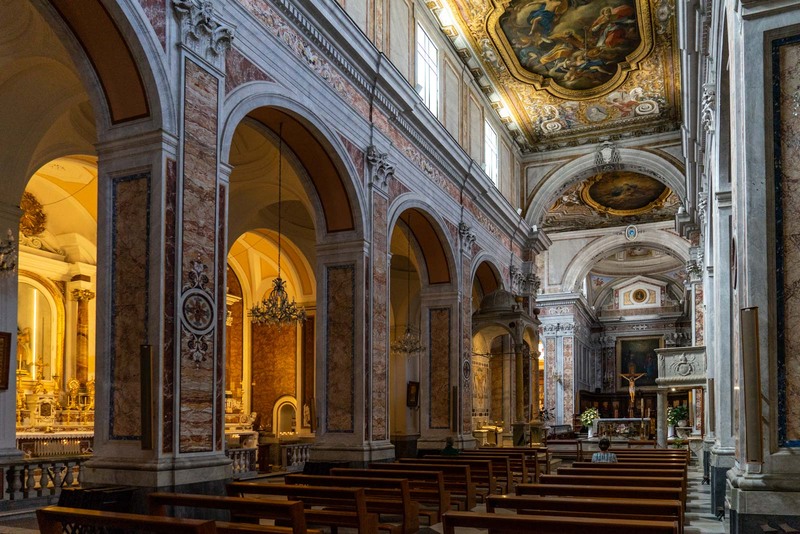 You’ll then come across the Sorrento Cathedral, which is worth having a look inside. If you go along Corso Italia a bit further and then turn right, you’ll find yourself in the narrow but lively alleyways of the historic centre. Here, you can wander through the several blocks (as I said, it’s not large) and enjoy the old buildings. 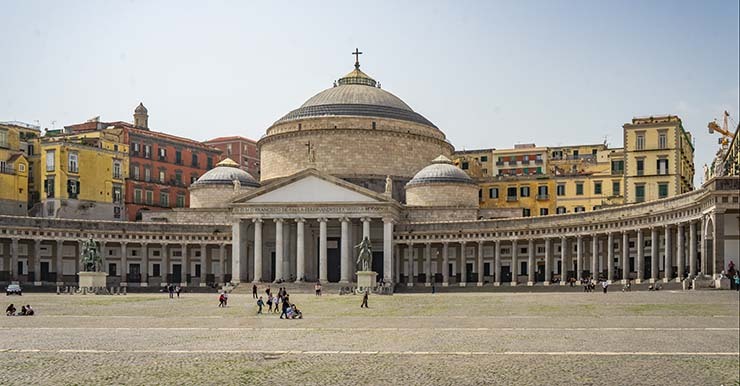 After your wandering, try to end up at the Piazza Sant’Antonino. This is smaller and more relaxed than Piazza Tasso. You’ll see the Town Hall and the Basilica of St Antonino. It’s not just the sights of the towns that makes the Amalfi so wonderful – it’s also the nature. There’s not a lot of time to see a lot of it in a day trip from Naples, but there are still some options. Unfortunately the best of the Amalfi hikes – the Way of the Gods – is probably too far away from Sorrento to do on this trip (another good reason to come back and stay longer next time!). 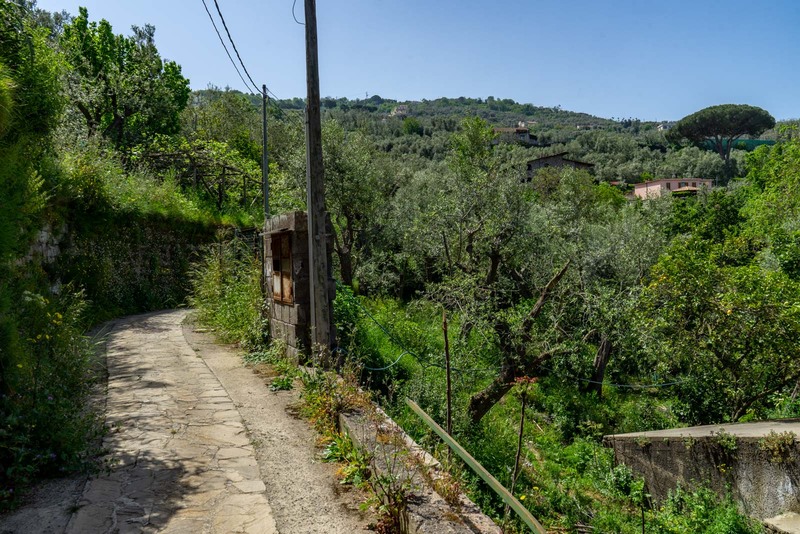 But there is a hike from Sorrento that will give you a sense of the countryside, show you what the small towns are like, and offer some incredible views of the coast and of Sorrento. I have marked a suggested route on the map below. If you’re looking for a hike from Sorrento, I would definitely suggest using this as the foundation of your hike. Of course, the Amalfi Coast is not intended to be busy or stressful. It’s all about relaxation here and you may not want to spend the whole time sightseeing or hiking. The good news is that, even on a day trip, you can explore the historic town, do a hike, and still have time to chill out. 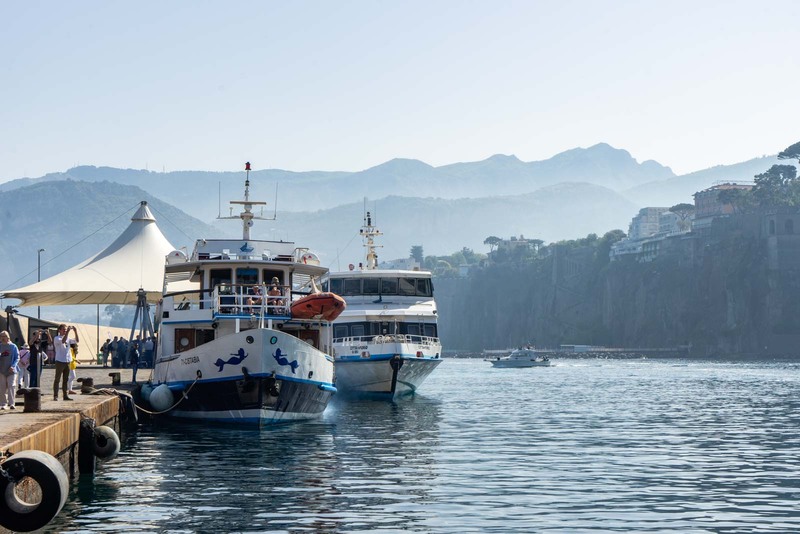 There are a couple of options I would suggest to give you a luxurious and relaxing coastal experience, fitting for a day on the glamorous Amalfi Coast. The first is to have a drink (and even something to eat) at one of the hotel bars on the cliffs that look out over the water. The best one is probably the Grand Hotel Excelsior Vittoria. 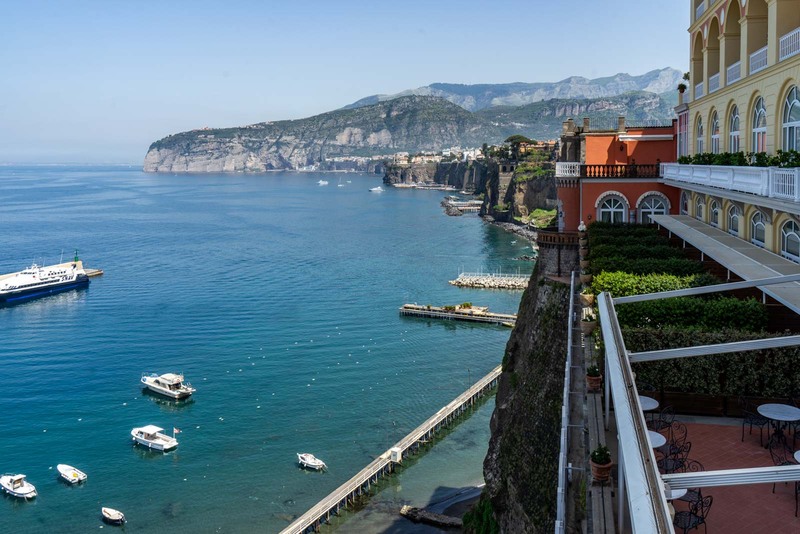 It’s one of the best hotels in Sorrento and you can feel like a 5-star guest by spending an hour or two on the terrace. The drinks aren’t cheap but you may feel like the splurge! The other option I would suggest, if you don’t feel like a splurge, is a plunge. 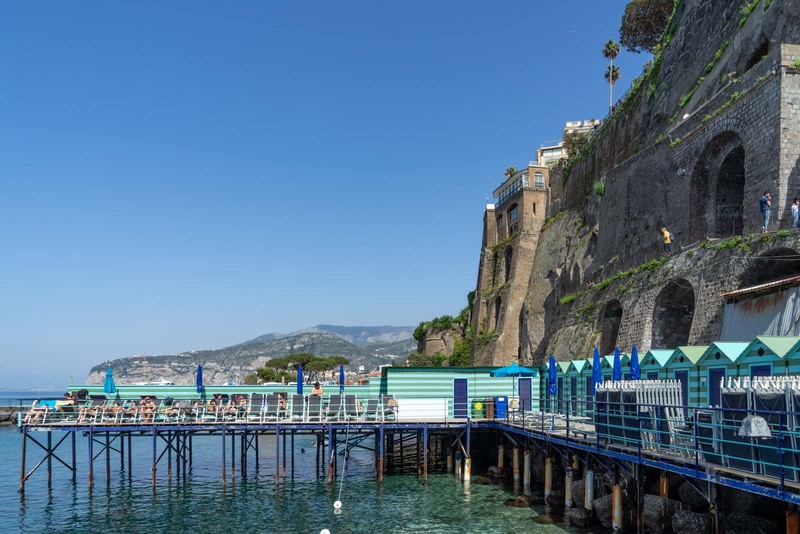 Down on the water around the Marina Grande are Sorrento’s beach clubs. These clubs are open to the public but you’ll usually have to pay a fee to get in. Those that don’t have a fee will require you to rent chairs or a cabana and buy food and drinks. Again, this isn’t the cheapest thing you can do in Sorrento but it’s not outrageously expensive. It’s definitely a beautiful place to sit and relax for a few hours on a hot day, though! As I hope you can see, there is plenty to do to fill a whole day if you just go from Naples to Sorrento. However, I understand that you may prefer to have a busier day and see more of the Amalfi Coast. As mentioned earlier, there are some tours that will take you to several different places. But to do it independently on public transport, I would suggest using the Sita Sud bus to move between the various towns. You can see the timetables and more information here on the Sita Sud website. I’m not going to run through all the details but you need to understand that the bus trip from Sorrento, around to the town of Amalfi on the other side of the peninsula, takes about 90 minutes, or about 40 minutes to Positano. So, it would be possible to visit both of those beautiful towns by bus in a day, but you’ll be spending about three hours (going there and back) sitting on buses… and I would prefer to spend those three hours doing something a bit more interesting. 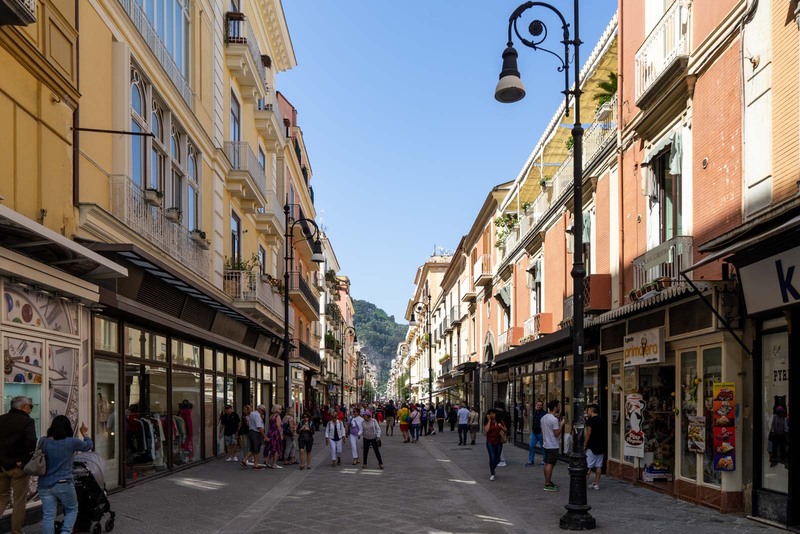 Even if you changed buses at Amalfi town and continued on to Salerno, that’s still about 75 minutes (the reason you may want to do this is because you can get a fast and comfortable Trenitalia train back to Naples from Salerno). If you are considering anything like this, my tip would be to just go to Positano and then go back to Sorrento. If you really do want to do the whole loop of the peninsula, be prepared for a long day. Regardless of how you do it, Naples is a great base to explore the region. So I’ve got some tips on accommodation in Naples, if you’re interested. Where should you stay in Naples? If you’re looking for a budget option, I would suggest the really fun Hostel of the Sun or, for a more local atmosphere, you can try Giovanni's Home. There are a few very good cheap hotels in good locations in Naples. I would recommend either Hotel Casablanca near the train station or Hotel Europeo Napoli in the historic centre. For something with a bit more style, I would recommend either the historic NapoliMia Hotel de Charme or the more modern Palazzo d'Auria ApartHotel. And if you're looking for a bit of luxury, two great options are the Palazzao Alabardieri or the Grand Hotel Vesuvio, which has a wonderful view. 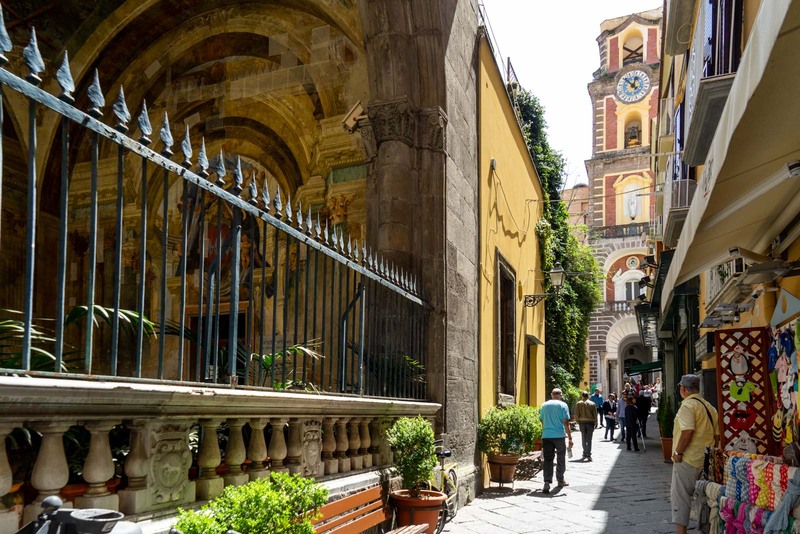 WANT TO KNOW MORE ABOUT NAPLES? The best Greek temples in the world… are in Italy?! You may also want to consider taking a Italy tour that includes Naples, rather than organising everything on your own. It’s also a nice way to have company if you are travelling solo. I am a ‘Wanderer’ with G Adventures and they have great tours in Italy. Fantastic post! What a beautiful view and article you write up. This place looks incredible to visit. I would love to go there and see all the things. Loved your blog. Outstanding post! Italy is the beauty at its finest. Since the north until ths south, islands as well. People, landscapes and gastronomy are more special than the other contry. I love get lost in any site from that country.